Windows powers tablets and PCs. It supports desktop and "Windows 8-style" apps using touch and keyboard / mouse and can run on x86 and ARM CPUs. You can even get it on hardware from Microsoft and third parties. Microsoft refers to this as creating a "no-compromise" operating system. Some of its users will run Windows on an Intel Ultrabook, which an Intel blog post has referred to as a "no-compromise" notebook. But it won't run on the Google Nexus 7, which Google describes as a "no-compromise" Android tablet. And it certainly won't run on a Wang 2200 SVP from the early 1980s, which was hailed by a sales brochure as "the low-cost, no-compromise computer." Companies should play to a product's strengths. What? My no-compromise operating system won't run on my no-compromise tablet? That could compromise expectations. Tech companies occasionally position their products as having fewer compromises or no compromises. It's an alluring ideal, but one that is of course unachievable. There is no compromising on the notion that all products involve compromises, lots of them. Show me a product with features and I will show you one with compromises. Rather than hide from compromise or pretend that it doesn't exist, companies should embrace it. For the compromises or tradeoffs a product embodies reflect the thoughtfulness of how it was designed. No one would suggest that a company should highlight what a product does poorly nor should they deny potential disadvantages. Companies should play to a product's strengths. When Steve Jobs introduced the iPad, he prefaced the device's appearance by acknowledging it had to do only some things better than a smartphone or laptop. Apple customers clearly got the message and accepted the product for what it does well while continuing to purchase plenty of iPhones and MacBooks. Apple didn't, for example, talk about how typing on an iPad can be a frustrating experience compared to a physical keyboard. (Jobs did, in fact, praise typing on the iPhone's screen at its introduction.) But it does embrace the tradeoffs of the iOS touchscreen focus by refusing to put touchscreens on the Mac. 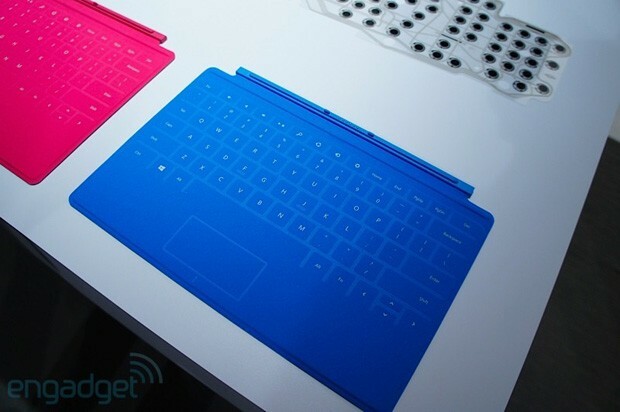 Similarly, Microsoft deftly highlighted the benefits of its compromised Surface Touch keyboard. It focused on the thinness of the resulting product and claimed that it was still far more effective than typing on glass. Plus, it has the added benefit of not obscuring half the screen. The compromise of a lack of tactile feedback is implied. Even when technology advances to allow such simultaneous benefits as better battery life and faster processing speed (via multicore technology, for example), companies must evaluate whether it is worth raising the price to include such a chip or delaying a product to take advantage of such benefits. Engineering is about making the right compromises and marketing is about communicating them to achieve the ideal position at the intersection of mass appeal and profitability. So, as we move further into 2013, let us no longer pretend that there is such a thing as a no-compromise product, or at least one that doesn't compromise a company's credibility. Come on technology companies; work with me on this. Ross Rubin is principal analyst at Reticle Research, a research and advisory firm focusing on consumer technology adoption. He shares commentary at Techspressive and on Twitter at@rossrubin.